We’ve all seen this weeks weather forecast predicting a heat wave with temperatures set to reach well into the 30’s. 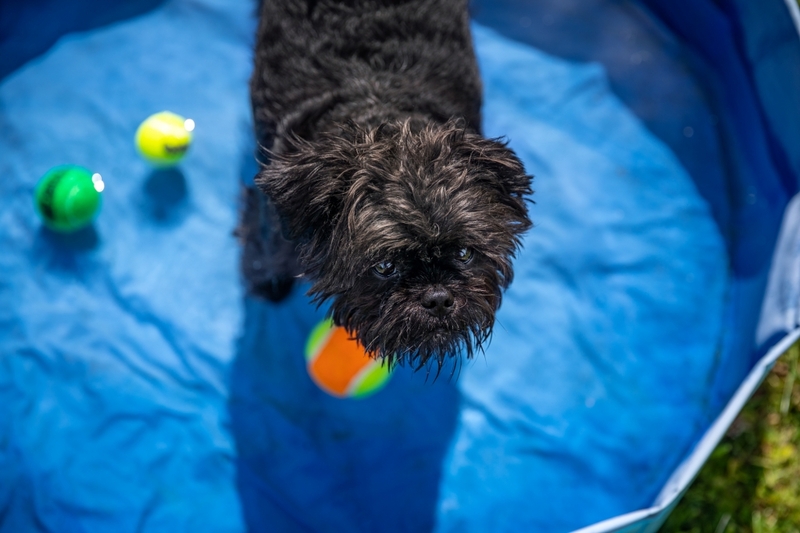 I thought, with a little bit of help from Ralph, I’d give you my top tips for keeping your dogs cool during the summer. Take a walk during the cooler times of day. It’s always cooler early in the morning or later at in the evening. 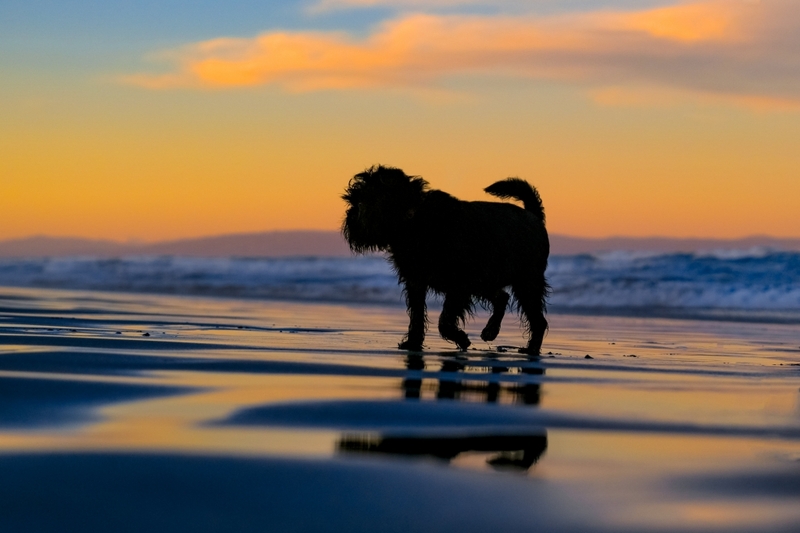 Try walking your dog an hour or two before sunset or if you’re an early bird (not me), an hour or two after sunset. Not only is it cooler, but it’s also much quieter, so take in the serenity of the beach or park as you walk. 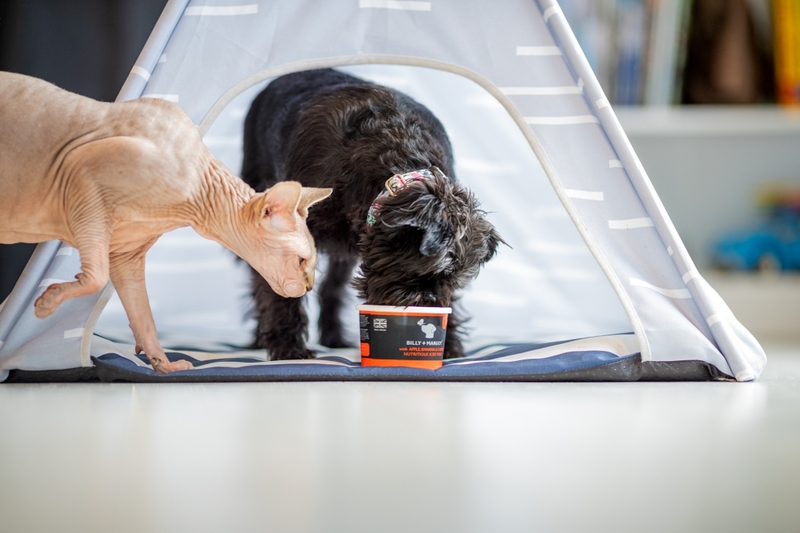 Don’t forget to take water and a collapsible water bowl with you! 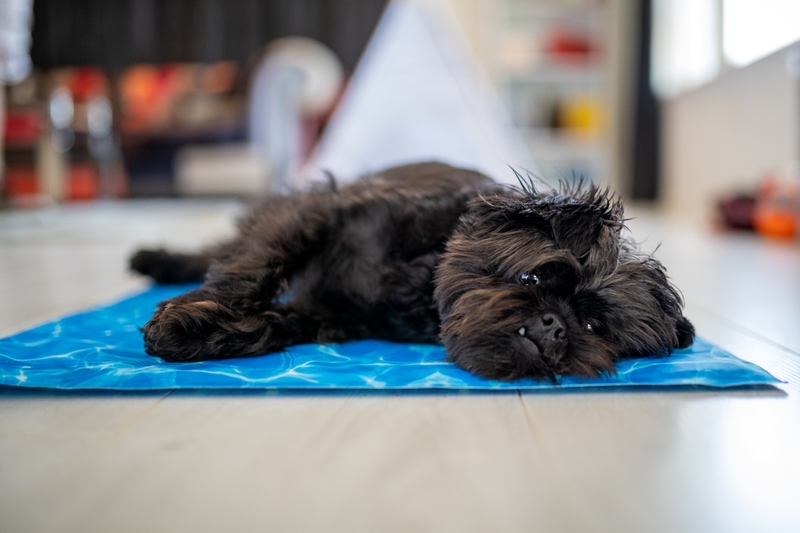 Ralph loves cooling down on his mat when he gets too warm. This one was around $20 from Kmart. A cool area of your wood or tiled flooring would work just as well. Ralph also loves sleeping on the bathroom tiles. Shaded areas like Ralph’s teepee provide great shelter from direct sunlight. It sounds simple, but this is so important. Make sure they are drinking plenty and always have access to fresh water. You could add some ice cubes on the odd occasion too. 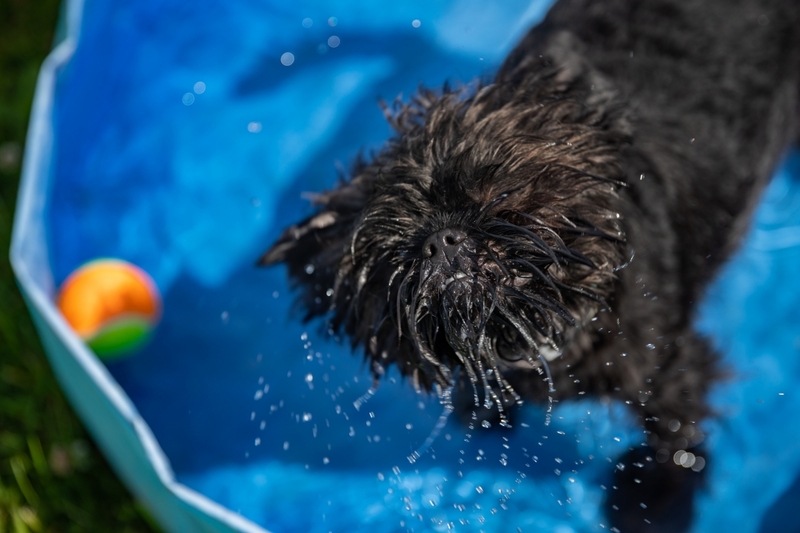 My little monkey adores his paddling pool (another under $20 purchase from Kmart). It’s perfect to cool him down and it’s lots of fun too! Don’t leave them in the car. Leaving dogs in the car, even for a short time can be really dangerous, they can overheat and dehydrate very quickly. 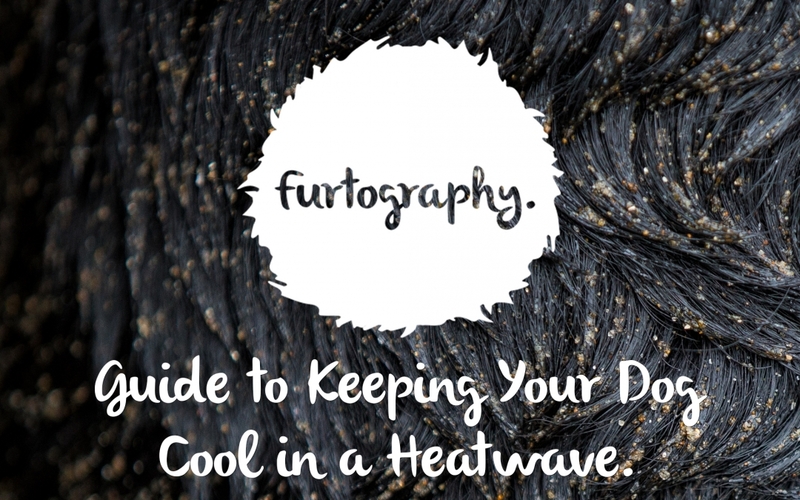 Heatstroke can kill them in just a few minutes. 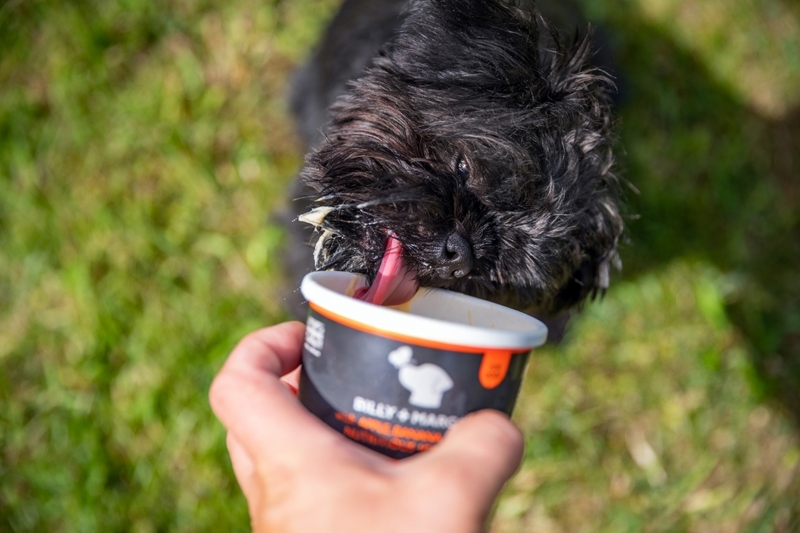 Ralph loves Billy + Margot‘s Apple Banana and Carrot iced treat (we got it from Petstock). But you can also make your own really easily. 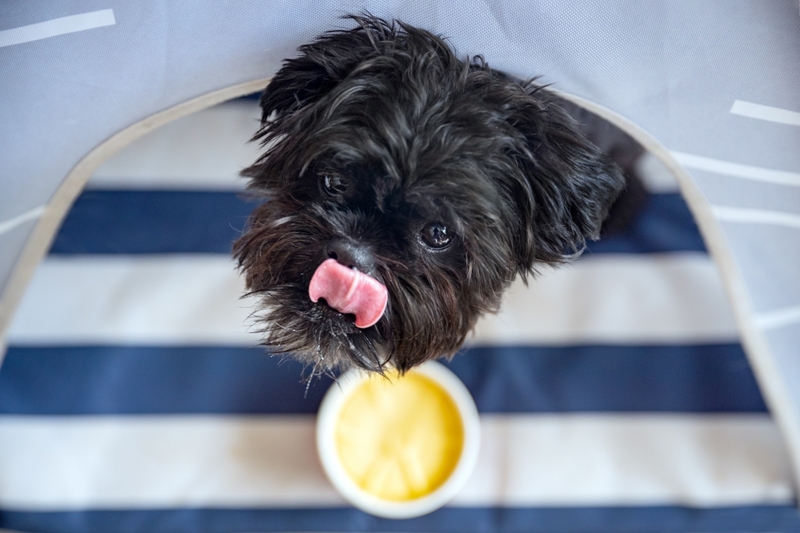 Try freezing some of their favourite treats in ice cube topped up with water, or even better, bone broth. Bonus tip: Don’t forget to share! I’m talking about the ice cream, easier said than done, I know! But also, feel free to share this with other dog loving folks this summer. I’d love you to share any tips with me too, so if you have any ideas I haven’t written about, why not head over to the Furtography Facebook post and let me know. On really hot days mine love sitting close to a fan, or being sprayed with mister bottle (or just sloshed in the face!) then fanned with a hand held fan! They are also fond of the heatpump set on cooling!